If you have hills or slants in your yard that are making it difficult to do anything with, terracing may be the right answer for you. Terracing allows you to make your ground level, opening up options for gardening and landscaping. Before you can begin the actual terracing of your backyard, you will need to do a few things. First, you will want to contact your utility company. Why? You will want to ask them if there are any underground lines in the area in which you will be working. Usually, utility companies will provide you with this information free of charge. You will also want to check your city offices to determine if they have any regulations as to how terraces must be built. Once you have determined that there are no underground lines in your area of work, you will need to pick up some materials. First, you will want to decide on, and purchase, whatever type of building material you prefer to use. Many people like to use treated woods for their terraces because it blends in better with plants. Some other people prefer to use bricks, rocks, concrete, or other masonry materials. On top of material, you will also need to purchase (if you do not already own) a shovel, a rake, a tape measure, and a level. Next, you will need to determine how high your walls will be. Many times this will be dependent upon how steep your hill is. When building a terrace, you want to ensure that your walls are high enough that the land between the walls will be level. While it is possible to do it on your own, it is generally recommended that you contact a professional to help you build any terraces that are over two feet in height. Once you have done this, you will need to determine the rise (the vertical distance from bottom to the top of slope) and run (the horizontal distance of your slope). This step will be key in helping you to determine how many terraces you will need. 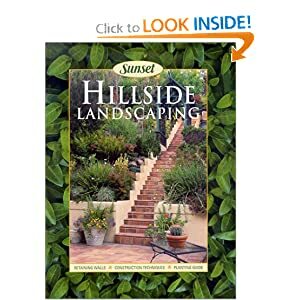 Begin building your terrace beds at the bottom of the hill slope. To do this, dig yourself a trench in the front and sides of your first level. You will only want this trench to be wide enough to fit your material and deep enough to hold the first layer of material. Next, layer your materials into the trenches as directed by the manufacturers instructions. Secure your material by drilling holes into the material and driving spikes into the ground (if you are using wood). If you are using bricks or heavier material, you will not need to secure it as it is heavy enough to secure itself. Once you have finished your first level, continue to the second level using the same steps. So there you have it! You now know how to terrace a backyard! Remember, terracing yourself can save money, but terracing slopes over 2 feet high can be difficult and dangerous. Be sure to consult a professional if you are in need of extra help. Good luck and enjoy your new backyard!